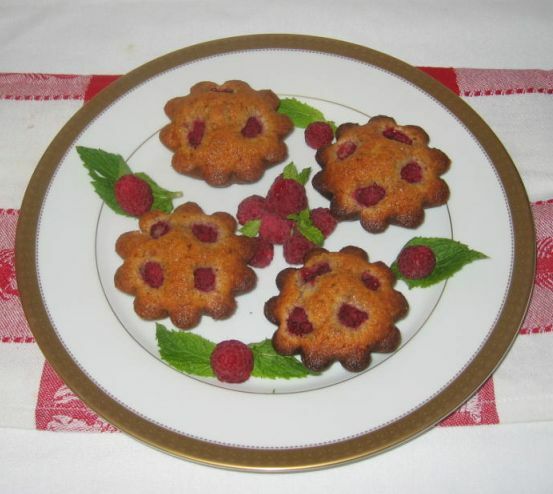 A Friand, is a is a light tea cake, very similar if not identical to the Financier, and usually contains almond flour. 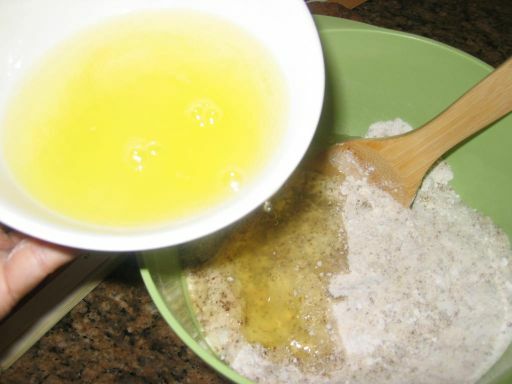 The basis of the cake itself is the way you cook the butter and turn it into "beurre noisette" (Brown butter), egg whites, powdered sugar and flour. 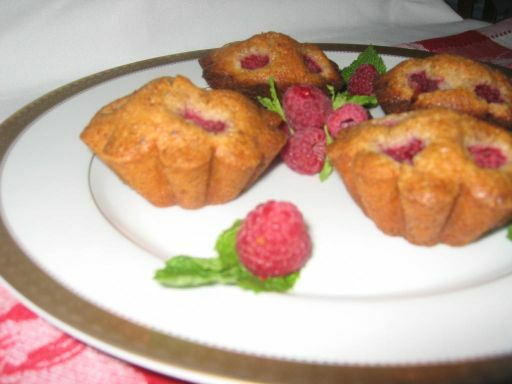 Financiers are often baked in shaped square molds, which resembles a bar of gold and the Friand is baked in small oval shapes and typically have additional flavorings such as coconut, chocolate, fruit, and nuts. 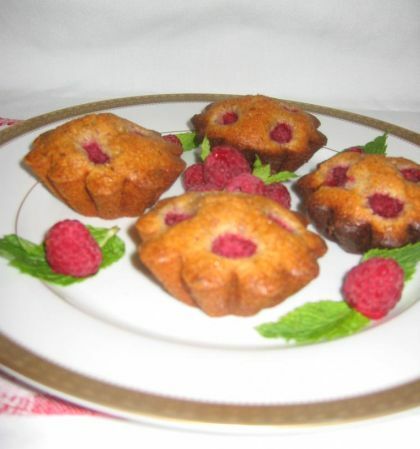 They are perfect for breakfast or for mid a day snack together with hot cup of coffee! 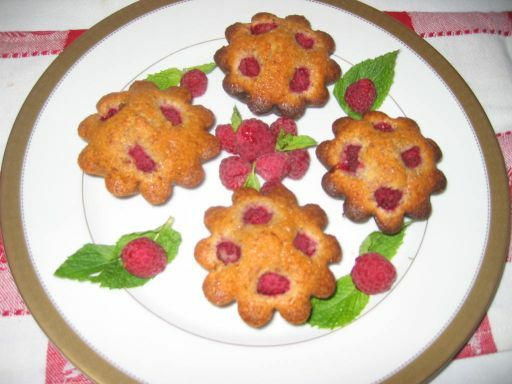 A beautiful plate of Friands with fresh raspberries. 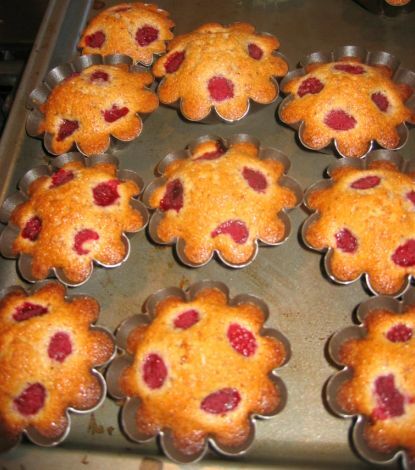 The friands are so good when they are fresh because the outside is still a bit crunchy and the inside is moist and the flavor of the beurre noisette is so delicious. 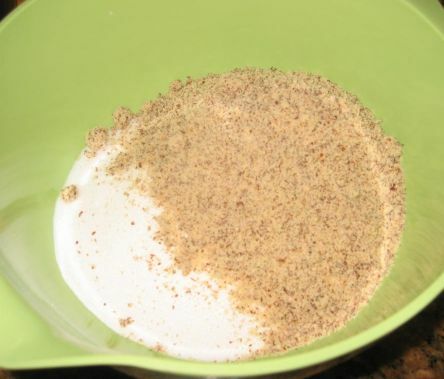 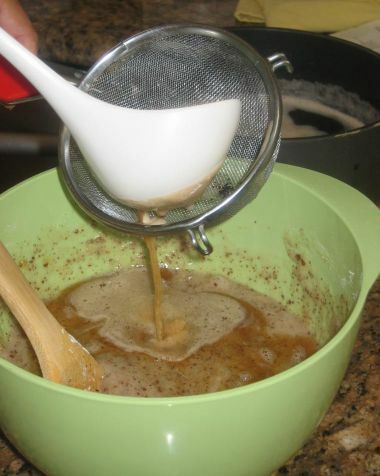 Here I am mixing the dry ingredients: flour, sugar, almond flour. 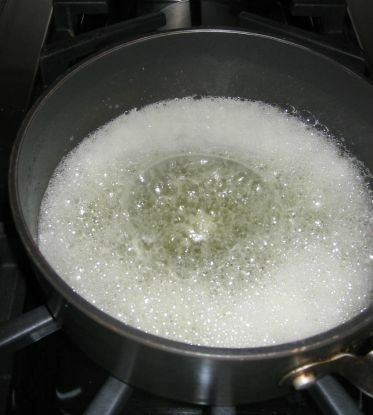 Egg whites are added to the dry ingredients. 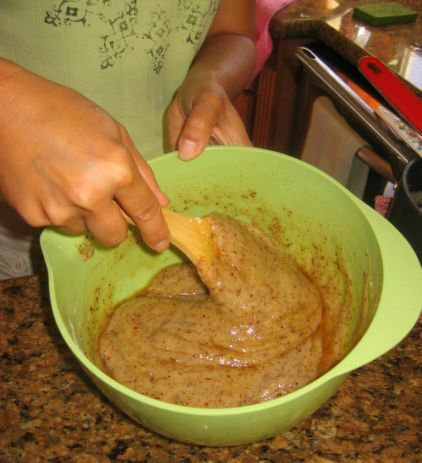 The butter is left on the stove until it turns brown and becomes beurre noisette (French: literally, "hazelnut butter") and gives out a really nice nutty flavor. 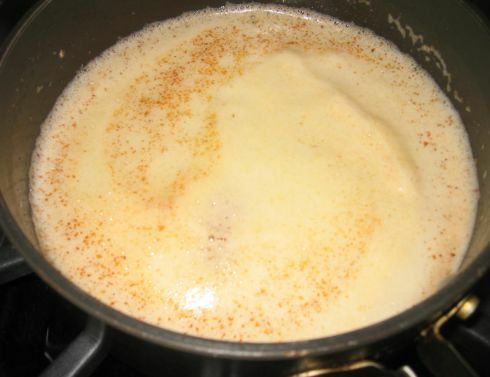 I am now mixing until all the butter is incorporated. 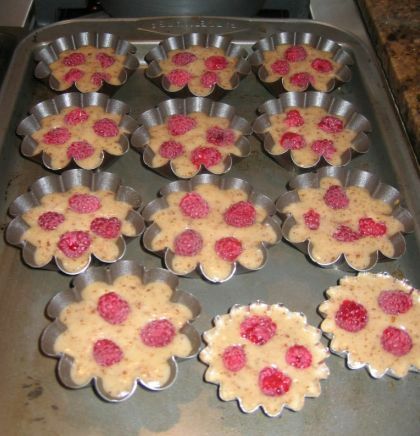 I am now filling up my molds and added raspberries at the last minutes. 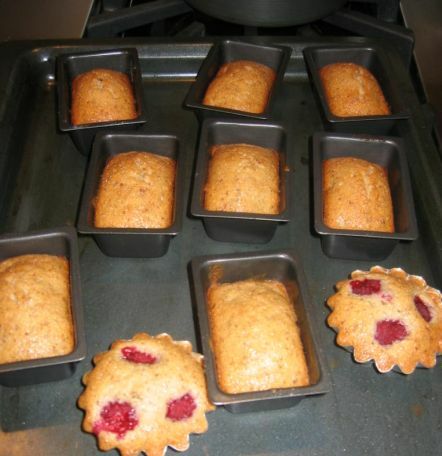 Since there are a lot of batter I decided to also bake some financiers. 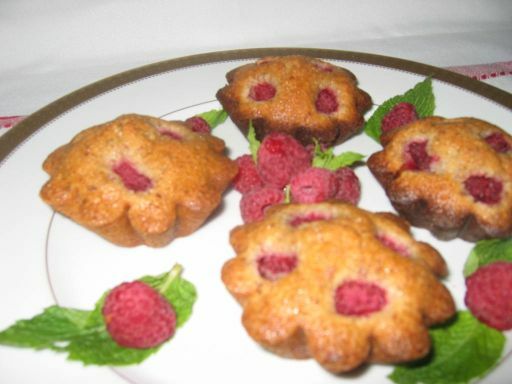 The financier are just batter without any fruits and in a square mold.